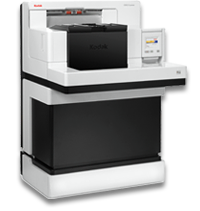 From desktop to high-volume production, Kodak Alaris has the ideal scanning solution. File Director brings the future of company management and data distribution into today’s world. The electronic content management solution shortens the time required to organise and handle documents within an enterprise significantly. We can provide ongoing technical support and training. Our team is on hand to answer any of your queries in a timely manner. Spielberg Solutions Australia Pty Ltd are the exclusive distributors and service providers in Australia, New Zealand and The South Pacific Region for all Spielberg Solutions products, which include FileDirector SBE, FileDirector Enterprise and Scanfile. Our Electronic Content Management Solutions are produced from our parent company Spielberg Solutions in Germany, who have been implementing Document and Record Management Solutions all over the world for more than 38 years. 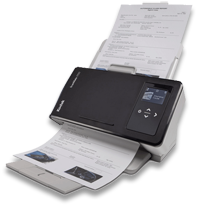 Our Document Scanner solutions come from the biggest names in the industry including Canon, Kodak, Panasonic. 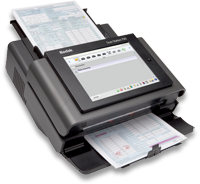 We provide solutions to help all types of businesses large and small become paperless. FileDirector and Scanfile Software, Support, license updates and modules are all provided exclusively in Australia by Spielberg Solutions Australia. Our ever growing High Quality Document Scanning Services are all carried out by our staff in Perth with no third party involved. We would like to ask you the following 3 questions. 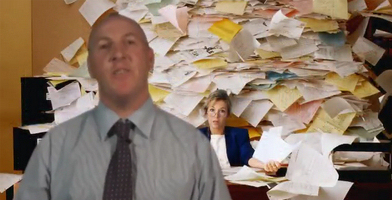 Are you losing productivity on searching for your documents? Are you managing physical and digital copies of your files? If you tick Yes to the above questions then contact us today to see how we can modernise your filing systems. We would like to welcome Water PNG to the world of File Director. While Spielberg Solutions Director Richard Allen was on site at File Director client Pelican Manufactouring Perth an unusual question was asked. “Richard, how tall are you? What do you weigh? When visiting friends and Scanfile clients from the UK Roy & Sue Lyness contacted Richard in March to say they were coming to Perth, he never expected what they had planned! I just want to say THANK YOU for our ScanFile. 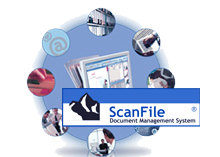 After meeting with you a few years ago and having had dealings with you during this time I want to say how glad I am that I purchased ScanFile. Our storage boxes have more than halved. We would have normally held about 10 files per archive box and now we will get over 30 files per box. Scanfile enables us to not only record the student’s details but also to scan all assessment documents, enrolment forms and copies of documentation issued by our company. The process is simple and efficient at the time of entering the data and also when accessing the documents at a later date. I am finally getting back to you to say thanks for all your help with the transition to our new paperless office. So far the time we have all saved with File Directory is incredible. We are able to access file directory while on the phone with customers which does surprise them how quickly we can retrieve information they are requesting. File Director has revolutionised the way in which we retain documents within Patersons. We are now able to provide services to client more quickly, have reduced staff time dedicated to scanning and storage and have moved forward towards our goal of a paperless office. We would be very happy to recommend File Director to other organisations. Our products FileDirector and Scanfile are proven products in the Australian market.